To really understand the problem in 2011, you need to rewind to 2003 / 2004. St. Thomas had just spent a decade expanding its student population to around 4,500 plus, and despite new on-campus residential buildings, student populations started to creep further and further into the neighborhood. Well-intentioned members of the City Council decided to increase restrictions on rental properties and limiting each rental home to include only up to four (4) unrelated people per household. Meaning, large 5, 6 or 7 bedroom houses could only house 4 students. 1. Property owners did what was reasonable and responded by splitting large homes into duplexes so they could fill up the empty space. The market had an increase in duplexes, and often times, landlords took the time to add extra attic studio apartments. This lead to the situation to actually become worse. Now, instead of 5 people in a 5 bedroom house, you now have 6 or 7 people in a recently split duplex or triplex. 2. By limiting supply, the ordinance increased overall rents; thus making it more appealing to convert a single-family home into a rental unit. In a way, the 2003/2004 zoning restrictions actually motivated more homeowners to convert smaller homes into rental properties. The latest moratorium would prohibit conversion of one-family homes into two- or three-family homes and two-family homes into three-family homes. The resolution also would bar one-, two- and three-family homes that are owner-occupied from being exclusively occupied by students unless a student owns the home [Link]. The problem isn’t zoning. The problem is demand. This is similar to how land-use zoning was first used to enforce segregation (by both race and class), as Charlie Gardner has shown. The difference being that then zoning restricted supply to the point that the price per unit of supply cost more than the customers' willingness to pay (no wonder poorer households flooded into the urban cores where land use was a lot less restrictive! You've gotta live somewhere.) whereas here we're dealing with a relatively monied population--or, more accurately, a population whose parents are well-monied--which, in turn, induces developers to circumvent the increasingly draconian attempts at limiting supply, which in its turn is simply making things more problematic for the surrounding neighborhood. This St. Paul example is also an example of the natural tendency for politicians to favor (usually organized, wealthier, voting) homeowners over (usually disorganized, poorer, nonvoting) renters. It's playing a constituency game, but such games are almost never what's best for the neighborhood as a whole, since the attempt at promulgation of the status quo leads to serious market imbalances, which in turn produce deeply adverse consequences. In the hands of very competent planners, land use zoning can be made to work to promote a better city (but relatively few planners are competent enough to make it work); in the hands of politicians, it becomes akin to playing with fire: you'll get burned. The bottom line is: Land use zoning is the problem. It's clunky, inefficient, and oftentimes subverts its own goals (unless your goal is disurbanization). Form-based zoning is much more flexible (keeping in mind Paris' zoning is essentially form-based). PLVI stands for Peak Land Value Intersection--that is, where, in the city, the rents are costliest. It is, for all intents and purposes, the "center" of the city. And, like the magnetic North Pole, it drifts. It can drift obliquely slightly, but this drift tends to favor the direction of the favored quarter. If the favored quarter is the west, it drifts in a westerly direction; if it's southeast, southeasterly. Sometimes accidents of geography can really nail it down, but it seems to head a couple of blocks further every generation or two. Because High--later Market--Street was cluttered with market sheds for most of Philadelphia's early history, the PLVI, "directed" as it is by the elite in their favoritism patterns, favored Chestnut. At the time of the Revolution, the best evidence suggests it was at 2nd and Chestnut. 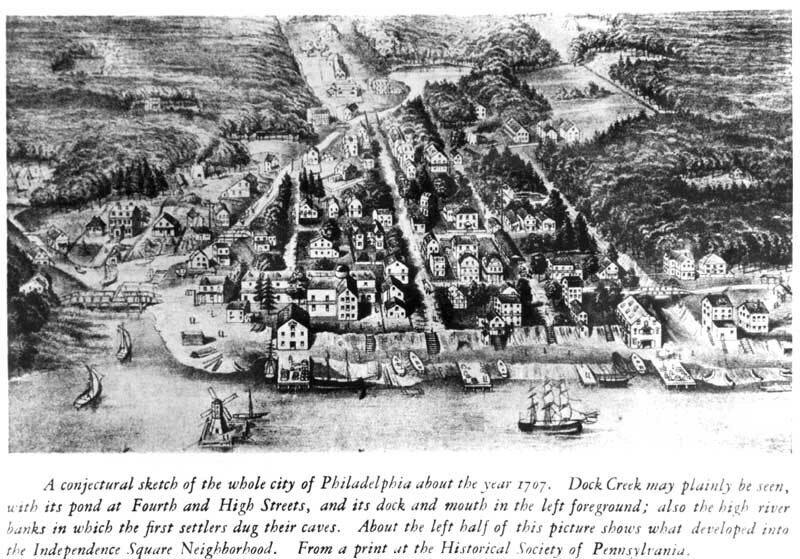 Philadelphia's early financial district grew up along the 400 block of Chestnut, placing the PLVI there. By the fin-de-siècle, the largest department stores clustered around 8th and Market (Strawbridge & Clothier, Gimbel Brothers, and Lit Brothers), making that the PLVI, and by the 1920s it had jumped west to the corner of Broad and South Penn Square (City Hall), and thence migrated south to Broad and Chestnut, which is where Jane Jacobs found it (in her critique of it being the home of banks and not much else). It moved to 15th and Market not long after her writing, and then to 17th and JFK by the 1980s, when the postmodern skyscrapers were built--most recently the Comcast Center. Bacon predicted it would move to 30th Street Station, which it is doing (slowly). The PLVI sat around City Hall for the first half of the 20th century in part because it was the point of maximal transportation access: the Reading Terminal and the Pennsylvania's Broad Street Station, to varying degrees of literalness, abutted the building. When Suburban replaced Broad as the Pennsy's main commuter station, and 30th Street its main intercity station, this all but guaranteed a long term westward movement of the PLVI. Something similar happened in New York, where Midtown Manhattan developed between Grand Central and Penn Station. So what kinds of examples can you find in your city of PLVI drift? Former PLVIs are etched into the architecture. Where was the financial district located when your city was founded? A hundred years later? Two? Philadelphia, being one of the oldest major cities in the U.S., has more history to draw on than most--but that does not necessarily mean its PLVI drifted the furtherest. Philaphilia and Philly Bricks, with their love of historical images, give us two looks at the development of Philadelphia from more or less the same vantage point. In 1707 the city had just been founded, and this view shows how it was still basically just a small country town, built entirely in an area that is easy to walk around: south of Arch, north of Spruce, and east of 4th. Most of it was on the Old City side of Dock Creek (thus explaining Elfreth's Alley's age). Notice the building placement: it is not random. Since time immemorial, blocks--especially planned blocks--have had their first buildings built in the middle of the block, and as time progressed, to the edges (which became the most valuable properties) and deep into the core, nested around a series of ever-narrower alleys. The residential parts of Wash West preserve this structure quite well. Looking at this mid-nineteenth-century view of this same spot, the pattern of densification can clearly be seen, with most blocks bi- and trisected by alley networks of varying complexity. Furthermore, the first major intervention to the grid is visible: Dock Street, following the old Dock Creek, curves around, sweeping inland. 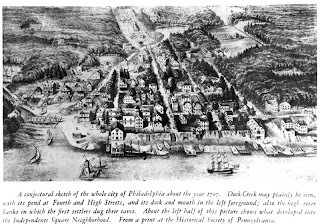 The creek's headwaters were at what is today 4th and Market; Dock Street, however, terminates around 3rd and Sansom (about 1.5 blocks southeast). This is because the land value along Market and (especially) Chestnut* is so high that the expense of eliminating interventions can be borne by the landowners--typically banks and financiers--looking to locate at the center of the action. * Philadelphia's PLVI at this time was essentially the 400 block of Chestnut. The Occupy movement has been getting increasing traction and airtime over the past few months, and roughly a month ago (already?) now a branch set up in Center City Philadelphia. Occupy Philly lays on the landscape of Dilworth Plaza, and occupies it the way a Mediterranean city a hillside. The reason Occupy's tent city is emergent is because it is assembled from a fairly standard collection of individual units (tents), combined together in a highly complex and nonstandard order. It has both the virtues of high interconnectivity and quiet streets, achieved through a natural dual-level street hierarchy. The primary streets are, however, curved slightly and bend along City Hall's façade: the only perfectly straight road is the one between Market Street and City Hall's portal, currently being used as an amphitheater for voicing grievances. So, without further ado, pictures! The homeless tent is surprisingly well away from the action. It is, however, on the main path right now. Occurring urbanization. Lower tent densities, a slightly more pastoral vibe. 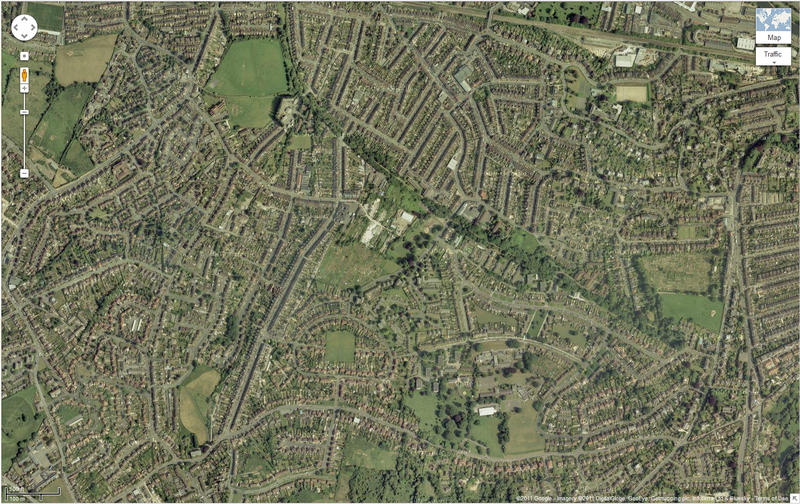 A yawning expanse between the edge of the urbanized area (approximately where I stood) and the north services area. Far from the centers of the site--the Market Street area and the north services area--the libertarians set up camp at 15th and JFK. That's all for this post. Next post I'll be documenting changes to the site in the week elapsed. Although there are a handful of trolls who believe otherwise, the consensus opinion that the regulatory body of the Federal Railroad Administration is largely, if not wholly, broken and that, as such, a radical reformation of the body--such as from a regulatory body to a booster body, or perhaps a planning body--if not its outright elimination, is needed. This opinion is shared among people with substantive transportation expertise, from hobbyists and prospective entrants (e.g. moi) into the field, to practitioners, and on up to the very freight railroads the current FRA regulations are most forgiving to. The FRA question of a decade ago may have been does it work?, but now that the answer no, it does not has been widely agreed, the question has to become how to change it?, or, more brusquely, how to fix it? The first problem in this question is how many people even know it is a problem, outside of the community that has to deal with it regularly? Not many. The FRA is one of several sub-silos in the highly disciplinary decadent U.S. Department of Transportation; it reports to the Secretary of Transportation and displays little cross-departmental communication with its kin, the Federal Transit Administration (FTA) and Federal Highway Administration (FHWA)*. As such, it is part of the Cabinet and thus the Presidency. But compared to the EPA, which is a huge fish, and constantly bounding across the line of what constitutes 'good' and 'bad' regulation, it is insignificant unto nothing. Very few people would even realize that stripping the FRA of its regulatory power would have done something. But since the body politic the FRA puts into practice is, compared to peer agencies, such as the relevant agency in Australia (whatever it is), or the international standard of the UIC, which governs everything from the light, speedy trains of Western Europe and Japan to the massive and heavy trains of Russia and China, archaic at best and plain old atavistic at worst, the FRA is a major impediment to badly-needed change in American railroads--both in the arenas of passenger and freight. Thus the first issue we have to deal with is outreach. And not just one type of outreach. The FRA is so broken for so many reasons--and appears to exist now merely to perpetuate itself rather than being in thrall to a corporate or labor interest--that a case for why the FRA should be stripped of its regulatory power, if not outright done away with can most likely be made to cater to every political ideology imaginable. Very few regulatory agencies get to be such total failures as to manage that. Let us now concentrate on some of the more general ones. For Democrats. Regulation needs to be revisited from time to time to test its effectiveness. Ineffective regulation is detrimental to the needs of a country as a whole (just as a lack of regulation in situations where safety is legitimately needed). By this standard, our railroad safety regulation is outdated and ineffective. The U.S. has the worst--by a long shot--per capita railroad crash fatality rate in the developed world, despite a regulatory agenda supposedly engineered to ensure safety. Furthermore, the entire field of railroad technology in the U.S. is relatively outdated and falling behind, with offerings by Bombardier, Alstom, Siemens, and Kawasaki outstripping what even the GE GEVO is capable of, much less EMD. Passenger rail technology, as an industry in the U.S., is nonexistent: we have to import all real expertise in the field. It would appear that, in the direction the FRA is currently heading, passenger rail safety will be attained only by virtue of its nonexistence. Do we want that? Elimination of passenger rail would force all intercity transportation onto highways and through airports, which are already strained enough as it is. By contrast, the haunting ruins of an era when rail was the normative mode of intercity transportation lie all around us. Shuttered stations, grand stations ill used. Given where we expect our intercity transportation to go in the next few years, this is an entire infrastructure lay slack that can be picked up again--but again--our regulatory body ensures that this infrastructure lays slack, by forcing us to use obsolescent technology which has not been able to be profitably provided native to the U.S. for over a generation--since the end of the Budd Company. The only way to be able to pick up this slack, and bring fallow infrastructure back to active use--is to eliminate the bad regulation forcing its slackness. Worse, the FRA has gone rogue, refusing to listen or study any regulatory solutions used anywhere else in the world. Why should we trust a rogue organization with vital safety regulation? Bring the FRA under heel, strip it of its current policy, and impose a UIC-compliant regulatory standard so that we can have equipment as up-to-date and as safe as the rest of the developed world enjoys. This two cases are fundamentally different, and resonate different strands, but outreach campaigns to both parties would ideally allow the vast majority--if not entirety--of the House and Senate transportation committees to come to common conclusion and common cause--namely, the stripping of FRA regulatory powers and their replacement with UIC-compliant regulation. The question now becomes how to make the most powerful special interest impacted by the FRA--the Association of American Railroads, or AAR--interested in implementing UIC regulation; the AAR's members (that is, the major American Class I and Class II freight railroads) would need to restructure equipment standards for this new regulation--although, as the Russian and Chinese examples show, UIC regulations do also cover heavier-standard networks in addition to lighter ones. The Australian mean as an implementation midphase may be the best way to go about things. *Not that the FRA has that much reason to talk to the FHWA. But the FTA, especially, whose purview overlaps with the two others, should be the "glue" binding all three. That they don't is clear evidence of a highly disciplinary decadent corporate culture. The urban organism auto-regulates*, in this way, its own development, tapping into a repertoire of solutions already experimented with that become adapted, when necessary, to new exigences. The role of the planner revolves, therefore, around the "collective memory"**, historical and cultural[,] of urban civilization that while renewing itself and evolving always maintains a strong relation of continuity with the past. In contrast to the planner, who checks the validity of the projected idea on the basis of rational analysis of how it responds to the context and to its impact on the future development of the urban organism, the organizing solutions of the collective memory are legitimated by their proven historical efficacy: they are the result of a selection protracted in time. This characteristic situation is at the same time a measure of the power and the limits of the organic city: if on one side it is capable of adapting itself with great flexibility to changing circumstances, on the other side its effective capacity to adapt depends essentially on one factor: the absence of traumatic discontinuity within the external conditions. ...In the presence of a context radically altered, and therefore with exigencies and problematics thoroughly new, which require a creative radical effort and therefore the search for organizing solutions entirely original, the capacity for self-organization of an organic city goes into crisis, and the danger of chaotic degeneration becomes concrete (emphasis mine). I suggest any of you who can read Italian get this book: it deals expressly with a subject that urban theory has only implicitly dealt with in the Anglosphere. * He suggests replacing this translation with self-regulates. What Makes Up Walkability Anyway? Yesterday, commenting on Strong Towns, I commented on how jogging paths and crosswalks don't make up "walkability" and the Walk Score showed that, giving the school a walk score of a cool 3. I contrasted the locally-highly-amenitized Kensington High School for the Creative and Performing Arts, on the border between Fishtown and Norris Square, with a Walk Score of 83, to demonstrate what a walkable school would actually look like. And then I Walk Scored a commercial strip from my childhood. Here's what it looks like. It's pure sprawl, and an effort to traverse in anything that doesn't have four wheels and a motor. Yet it gets a Walk Score of 72. Why? It occurs to me there are two aspects to "walkability" (or transit mobility in general): you have to have locational amenities--that is, somewhere to walk to, and traversal amenities--that is, what kind of effort it takes to get there. Locational amenities are places, and places such as stores, restaurants, parks, schools, churches, friends' houses/apartments/condos, while traversal amenities are the condition and quality of the trip. For pedestrians, this means wide sidewalks, good (and frequent and signalized) crosswalks, fairly narrow streets, and lots of interest and variety in one's surroundings, including variety in the built environment and of traversal paths; issues that decrease traversal amenity include poor sidewalks (if not no sidewalks), overly wide roads, poor crosswalks (if any at all), poorly set stoplights, overly deep setbacks (especially for commercial), highway boundaries (such as Bethlehem Pike in the example above or DeKalb Pike by King of Prussia; many suburban strips are, unfortunately, arrayed around these highway boundaries), lack of interest along path (few buildings, buildings too deeply set back, lack of usage distinctions, oversized parking, etc. ), and so on. Now, needless to say, locational amenities need to be weighted over traversal amenities. Locational amenity trumps traversal amenity when the area of traversal, from door to door, is relatively short (500 ft., say) and not blocked by some sort of boundary feature (fence, wall, waterway, cliff, highway, thicket, etc.) Desire lines in the suburbs routinely get etched through narrow hedgerows and woods, for example, for precisely this reason. However, there is also a horizon or sunset, beyond which traversal effort in the main trumps any kind of locational amenities whatsoever. Let's peg pedestrian sunset at 2000 ft. As the traversal effort increases, the need for locational amenities likewise increase, as a way to counteract the effort being expended and keep the pedestrian sunset from shrinking (to 1500 ft. or even 1000 ft., say). This shrink space indicates an increased importance of traversal amenity, meaning it now trumps location as the primary determinant in whether one will walk; beyond the sunset, this is in turn trumped by distance. The presence (or absence) of traversal amenity can be determined empirically, critically scaled, and then weighted against the scales of location (and location density) and distance. The problem with Walk Score is frankly that it only measures and weights locational amenities, and then weights them by locational density as an address function. It in no way measures traversal amenity, or even traversal, for that matter; Walk Score perceives Airport Square and Montgomery Mall as being on opposite sides of the road and hence highly locationally dense; it does not register that to actually walk from the exit of Airport Square's Toys "R" Us to Montgomery Mall's entrance one has to traverse two goliath parking lots 500 feet each with a serious boundary feature (Bethlehem Pike) without any sort of safe crossing halfway between. It, in other words, fails to register that the built environment, with no pedestrian traversal amenities whatsoever perpendicular to the lay of the buildings, has effectively created a pedestrian sunset precisely as deep as the setbacks. Without pedestrian amenities, distance trumps location as soon as location ceases to be an independently viable draw. Because of this, Walk Score is only a useful means of measuring pedestrian amenity when pedestrian amenity is there to begin with. We can see the contrast when we compare Montgomeryville's walk score with that of the closest Main Street, that in Lansdale. The implication is clear: either (a) Walk Score has to do a better job of measuring walkability viz. traversal amenities, or (b) a new walkability score is needed. I've been at my childhood home in the far suburbs these past few weekends helping my mom move, and what has caught my eye is the first real New Economy project up there. Some zombie sprawl projects--permitted before the crash--have been ongoing due to the locally-strong economy (thanks Merck), but this is the first project that has been entirely conceived and realized after 2008. It's called Cannon Square, and it's rowhomes. 1. New Economy projects are urban. They consist of primarily attached housing, an urban format, in urban contexts (utilization of existing infrastructure in preference to its installment de novo), commonly multilevel, with small blocks. They are designed and realized in smaller footprints, and with smaller budgets. This style was pioneered with Southwest Center City builders (such as Metro Impact), who, whatever else they claim or one says about their designs, have succeeded in bringing economies of standardization to the inherently nonstandard nature of infill, primarily by standardizing rowhome design, and is clearly catching on with the bigger builders. 2. Big builders are adapting to the New Economy. They have to. THP's spectacular collapse concomitant with the collapse of the real estate bubble in the Philadelphia area was very much due to their overextension in suburban formats to the exclusion of all others (a trait shared by other major builders). Now other major builders--such as Toll Brothers and W.B. Homes--are finishing up previously-permitted projects and showing a trend of favoring investment in urban-type projects. Toll Brothers, for example, bought large into Philadelphia with Naval Square, and are following up with new projects across the street, at 20th and Bainbridge, and in Society Hill's NewMarket hole. This is also emblematic of a larger shift to more urban environments--environments that these companies are only now learning to build in. We will have to see whether this is an emergent trend--or just an aberration. 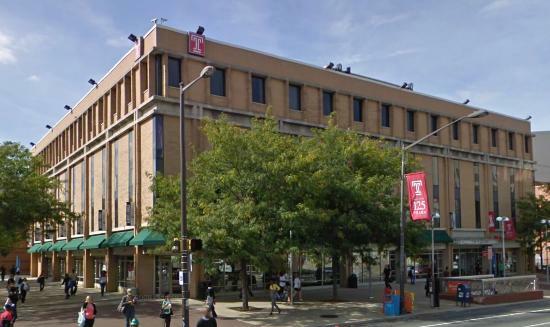 Here we have 1600 North Broad, Temple University's blasé but surprisingly handsome Brutalist-lite brick box built by Broad and Cecil B. Moore, the school's southern entrance. The law school's small bookstore (and large Starbucks), Wendy's, and on the upper three levels, School of Tourism and Hospitality Management and possibly Honors College offices and classrooms, comprise this building. While this would be a nice mix of uses most places on campus, here it's a little more questionable. This building is approximately 140x140 ft, with four full levels and a basement, offering floor space of just shy of 20k square feet per level (or 98k square feet in total); on top of that, the site also offers extension space of about 10 ft. more along Broad Street, and (potentially) up. It's also at the school's south gateway, by a large row of dormitories, and at the junction of two important commercial avenues (Broad and Cecil B. Moore), a block away from a large new grocer, and, in the opposite direction, the school's main gym facilities (Pearson and McGonigle Halls). It is, in short, a natural anchor. It should be the school's main bookstore. Currently, Temple's main bookstore is deep in the basement of the Student Center on 13th and Montgomery, accessed via a dropping concourse linked to a major cafeteria food court upstairs. It's a claustrophobic 5k square feet hidden at the rear of what effectively amounts to a cul-de-sac well away from the main centers of student activity (the Bell Tower, the Tech Center, Tyler lawn, Liacouras Walk, and the Northern and Southern Gateways). It is less visible than the rec rooms in the same building, and would be frankly unfindable were the prospective student not guided to it. Compared to the city's other major school stores (Drexel's, Penn's, St. Joe's, and La Salle's) it is, frankly, a disgrace. Temple needs to capitalize on this opportunity and bring the main school store out, front and center, to the corner of Broad and Cecil B. Moore. 1600 North Broad has the room for it--more than what the law school is currently using. Meld the two into the same facility! Extend the retail space down to the basement and you'll have about 38k square feet for a good school store and the potential for a subway entrance as well. Or go whole hog and convert the entire building into a department store-lite--a grand collegiate emporium with a selection that puts Penn's school store to shame. With about 100k square feet, you could have a very large and roomy textbooks department on the top floor, a full Barnes & Noble on the next two levels, complete with Starbucks, an outfitter department on the ground floor for all those nifty Temple sweats, and a large dorm supplies department down in the basement. With so much square footage, you could even add makeup space, or you could structure the space to function like a vertical mall. You could even install a large atrium inside! The call is theirs. This is aided in part due to the age of the classrooms and offices upstairs. A small field is available between Rock and Klein Halls: why not build a new STHM building there? That shifts the school functions away nicely and allows Temple the ability to concentrate on school-related commercial enterprise at its most meaningful junction: between classrooms, dorms, and the outside world. Which brings us to traditional urbanism's preeminent problem. It's an ideal. Nathan Lewis treats the city as Form. He prescribes and dictates. While his ideas are good, his style of presentation is harshly Mumfordian. The problem is still the idea of "the city as problem" (rooted in the unlivability of the Victorian industrial city), only this time transposed to suburbia (where social isolation and transportation inefficiencies become driving problems) and a critique of New Urbanism based on its practice. But New Urbanism itself is rooted in a like critique; the whole history of the problem of the city is a succession of like critiques. Could it be that the so-called problem of the city is rooted in a discontinuity between the way the city is and the perception of what it ought to be? that the problem of the city is one of ideal vs. reality? In other words: that when urban theorists have gotten to work on the problem of the city, the solutions are prescriptive rather than descriptive? It occurs to me that such an impulse behind urban theory, the formulation of idealization as solution, leads inevitably to the utopian dream, the idea that we can create a perfect society. But the critique is obvious: one man's utopia is another man's dystopia. All utopias are also dystopias--yes, even More's--because this pursuit of perfection always impinges upon freedom; and conversely, all lived dystopias must also be utopias--yes, even Zamyatin's, Orwell's, and Huxley's--because the utopian impulse is a desire for perfection, and someone must have thought that such a situation would be the ideal situation of humanity. 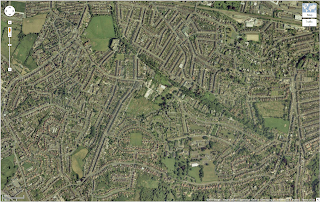 Terraced housing (British rowhomes), narrow streets, terminated vistas, and when you turn around, jaw-dropping vistas of the surrounding Somerset downs. From the street, it looks like city; the sky, suburbia. In Bath one sees the culmination of British Georgian taste and some of the earliest representatives of later elaborations--leading eventually to the ones seeking to do away with the city altogether. 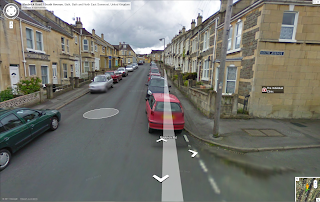 In one lens, Bath is a city; in another, a suburb. 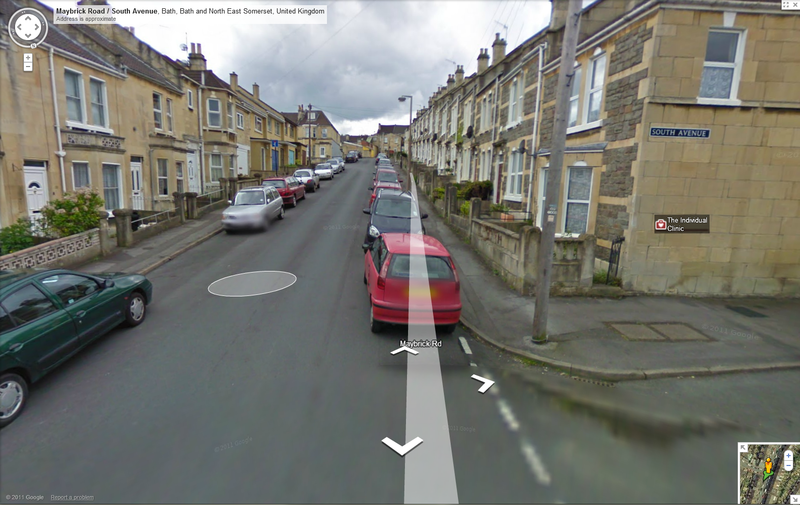 In one lens, Bath is even a traditional city! "perfect" way in the face of a policy régime geared towards its antithesis while at the same time failing to ask how that régime is to be changed to allow different building traditions--questions Mr. Lewis has never asked--has little chance to be successfully emplaced. In this regard, Charlie Gardner is asking the right questions, because he is asking after a solution rather than just selling an idea.